Updated 25th May; The full cast joining the previosuly announced Omid Djalili and Tracy-Ann Oberman in Fiddler on the Roof at Chichester in July has been announced. Chris Jarman (Harry Potter and the Cursed Child) will play Lazar Wolf, Emma Kingston (In the Heights) will play Hodel and Liza Sadovy (Wicked) will play Yente. They will be joined by Louis Maskell (Perchik), Laura Tebbutt (Fruma Sarah), Jos Slovick (Motel), Simbi Akande (Tzeitel) and Rose Shalloo (Chava). Completing the cast is Ryan Anderson, Leo Andrew, Andrew Boyer, Greg Castiglioni, Stephen John Davis, Nicholas Duncan, Luke Fetherston, Rosie Fletcher, Harry Francis, Victoria Hinde, Abigail Jaye, Lucinda Lawrence, Megan O'Hanlon, Sephora Parish, Pierce Rogan, and Matthew Woodyatt. From 10th July- 26th August (press night July 18th). Daniel Evans will direct British-Iranian comedy actor Omid Djalili playing the title tole as Tevye- His many credits include taking on the role of Fagin in Oliver! (West End). 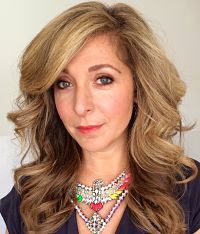 Tracy-Ann Oberman (EastEnders) is Tevye’s wife Golde. in a new production of the musical Fiddler on the Roof. With a book by Joseph Stein, music by Jerry Bock and lyrics by Sheldon Harnick it features classic number s including "If I Were A Rich Man", "Tradition" and "Matchmaker". As previously announced Sharon D Clarke will make her Chichester debut in the Olivier Award-winning Caroline, or Change from 6th May-3rd June.